Qianmen Street, no more than 2 km long, has been a prosperous area for more than 600 years and has accumulated some long-standing stores. Located at the center of Beijing near Tiananmen Square, Qianmen Street, no more than 2 km long, has been a prosperous area for more than 600 years and has accumulated some long-standing stores. Many well-known Chinese stores started their operations there. The reconstruction project aims to preserve the Qianmen Streets history in its entirety. Qianshi hutong--the narrowest hutong in Beijing--is located there. At its narrowest place the alley is only 40 cm wide. More than 100 years ago, it was the biggest market for silver and coins in China. To prevent theft, the hutong was built narrow so that escape routes could easily be blocked. Among all the stores on the street the roast duck restaurant Quanjude might be the most famous. Together with the Great Wall, it is one of the must-see places listed in many tourist guides. Opened in 1864, the Qianmen branch of the restaurant is the original. The price of a roast duck varies from dozens of yuan to 200 yuan, according to the different roasting process and materials used. Besides roast duck, Quanjude is also known for its all-duck banquet and over 400 dishes with Quanjudes characteristic flavor. 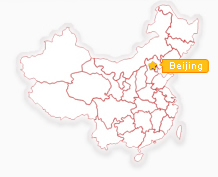 For older residents of Beijing there are areas of the city clearly known for certain products. For cloth, one would go to Ruifuxiang Store; for shoes, to Neiliansheng Store; for hats, to Majuyuan Store; for watches, to Hengdeli Store (Hope Brothers & Co.); and for tea, to Zhangyiyuan Store. All these stores are located in Dashanlan. Ruifuxiang has a history of over 110 years, and is famous for its silk and satin. It provided material for the first national flag of the Peoples Republic of China raised in Tiananmen Square. The founder of Wal-Mart, Sam Walton, revealed that the idea of opening a chain store for small profits and good sales came from Ruifuxiang. Neiliansheng Store is famous for making cloth shoes and is now the biggest producer of handmade cloth shoes in China. The average price of a pair of shoes is around 100 yuan. The cloth shoes have become increasingly popular as people around the world have become more interested in ecological issues. The government of Chongwen District, in which the area is located, has implemented a preferential policy for the old stores. It will allocate 10 million yuan ($1.37 million) every year to assist stores that have difficulty moving back. Beijings Qianmen Street, which is currently under redevelopment, will restore its streetscape to that of the early twentieth century, through use of historical photos, becoming the second pedestrian thoroughfare in the Chinese capital, after Wangfujing Street, the downtown shopping district. The new Qianmen Street will not be modeled after its state in the Ming and Qing Dynasties (1368-1911), as its designers had anticipated, but into the form of the old Qianmen Street in 1920s-1930s, a time period that left numerous historical photos - by which architects can study in forming the new street. With its latticework of horizontal alleys, the north-south Qianmen Street prospered as a commercial strip as early as the Yuan Dynasty (1206-1368). By the time of Emperor Jiajing, the 12th Ming Dynasty (1368-1644) emperor, the street was dotted with guild halls built by different localities, to provide housing to citizens intending to take the imperial exams. Qianmen Street became even more prosperous in the early years of the Qing Dynasty (1644-1911) with the development of activities such as lantern fairs, theaters and teahouses. Places like the Guanghe Theater -- today threatened with demolition -- and the Quanjude roast duck restaurant are part of Beijings history.